Some see organic farming as a sure-fire way to improve struggling farm communities. Others say it will take a lot more than higher premiums to make a lasting economic difference. As an organic farmer in Northeast Iowa, Wendy Johnson often feels like she and her family are living on an island. The small acreage she rents from her family’s farm to grow corn, soybeans, and small grains and raise chickens, hogs, and sheep, is surrounded by large swaths of conventional corn and soy. In an industry now worth $47 billion, organic certification can earn farmers like Johnson a premium, and the growth in demand has been consistent, year over year. From the outside, these facts might make the transition to organic a no-brainer. But in many rural areas with no immediate access to large bases of organic customers, it’s just not worth it. And although Johnson believes deeply that farming in harmony with the natural world—and without synthetic pesticides—is the right thing to do, she is less sure that the economic boost organic offers can make a real difference to turn around some of the most challenging trends in Iowa. The rural part of the state, like elsewhere in the Corn Belt, is home to very few young families, and has seen schools and hospitals close, lawyers leave, and many job prospects dwindle. Meanwhile, Congressman Peter Welch, a Democrat from Vermont, has been mulling the same set of questions in his state—where rural residents find themselves in a very different universe from their rural and suburban counterparts. Those who live in around Burlington, for instance, have seen the economy bounce back since the Great Recession, while Vermonters in the rural part of the state have had the opposite experience. Some rural counties in the state have actually lost jobs since 2009 and several are still without WiFi and cell phone coverage, two important economic drivers. “It has to be an all-hands-on-deck effort to find practical economic opportunities for rural America,” says Welch, who believes that providing more support for organic agriculture is one way to do that. Late last year, Congressman Welch joined forces with Representative Sean Duffy, a Republican from Wisconsin, to announce the Organic Farmers Access Act, a piece of legislation that would expand eligibility for organic producers in a handful of federal rural development programs. While the Act doesn’t come with new money, it essentially gives organic producers and processors priority when it comes to accessing existing rural development grants and loans designed to help them scale up their operations. “If you grow organic as a model of excellence in agriculture and commerce, you have the benefit of protecting the environment and enhancing community well-being and rural livelihood,” says Laura Batcha, executive director of the Organic Trade Association (OTA), which worked with Welch and Duffy to craft the bill. Like beginning farmers, veterans, and other groups receiving priority when it comes to receiving this support, Batcha sees organic producers as an inherently good choice. This new policy effort is one of several that OTA and other advocates have put forward as a way to ensure that organic will take more prominence in the next farm bill. For Congressman Welch, it has obvious benefits. Vermont has over 700 organic businesses and Welch says he has seen organic premiums allow many small and medium-scale farmers stay in business without having to expand to compete with corporate operations. “Many of the folks who went organic found that they could make a go of it with a much smaller farm,” he said on the phone recently. The perception that higher premiums can save the farm appears to be cultivating a rare alliance between leaders in red and blue districts in an effort to retain and attract young farmers—the key to rural reinvigoration. The National Organic Program and the Rural Development department have traditionally had less overlap within the U.S. Department of Agriculture (USDA) than one might expect, considering most organic food is grown in rural areas. And the grants and loans Welch and Duffy are targeting with their bill could be a crucial point of overlap. 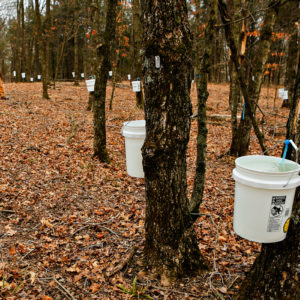 Organic companies already apply for rural development grants. In 2016, for instance, there were several organic producers in the list of 325 projects awarded a total of U.S. $45 million in USDA value-added producer grants that provided funds to helped recipients do everything from turning lamb into jerky to processing wheat into flour and fruit into jam. But there has been little in place to ensure that organic operators are privileged in the process and OTA’s Batcha believes that needs to shift. But not all farmer advocates see it that way. Poppy Davis is an agriculture business, resource, and policy consultant and former USDA employee focused on growing opportunities for small farms and beginning farmers. She believes that giving certified organic producers priority for funding as a rural development tool, when there are a number of strategies to produce food more ecologically and help farmers stay on the land, is too narrow of an approach. “That may be good for organic, but it’s not good for the whole system. It’s a short-sighted strategy and an idea that comes out of too small a coalition, too small an interest group,” she says. “[Rural development] is a fabulous pot of money and it’s just too small. Why not push to expand the whole pot rather than privilege organic?” she asked. Maps courtesy of the Organic Trade Association. 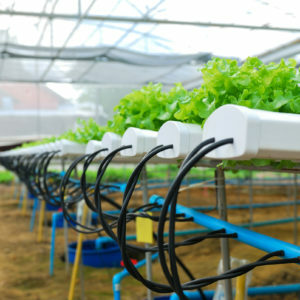 In addition to the fact that organic farmers have traditionally earned a premium for their crops, there has also often been a cumulative effect, especially in what the researchers identified as the “organic handler hotspots.” When a number of organic producers carve out space in a community, that can also lead to more infrastructure, more markets, and, in turn, a rising of all ships. Or that’s the idea. And while the majority of the hotspot counties were located in areas that are relatively close to urban centers where consumers are willing to pay a premium—such as California, Oregon, Pennsylvania, and New York—there were also a small handful in other areas. 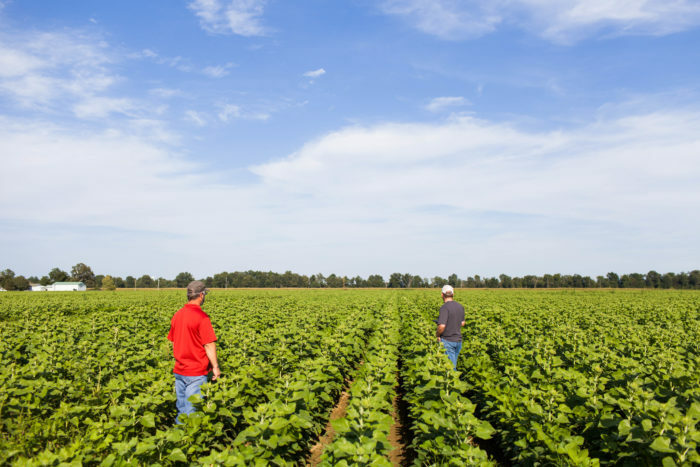 Take Rapides Parish in Central Louisiana, which is the home of Inglewood Farm, a 3,600-acre operation that has been gradually transitioning all its land from conventional corn and soy to a diversified organic operation that now grows the bulk of the local organic vegetables in the region. It has become the anchor farm for six relatively new farmers’ markets (including one that takes place on the farm itself), and employs more than 20 year-round employees. The family behind Inglewood had wanted to transition it to organic for a while, says co-owner Elizabeth Kelly. But, she says, “we had trouble locating other farms of our size and scale” to learn from. Eventually, Kelly adds, “we just realized that we were the ones to do it.” They brought in an experienced organic farmer and transitioned the first 1,000 acres over five years. The family dug into their own resources to make it happen, says Kelly, in hopes of creating a domino effect in their area. “It is quite a significant financial risk to take a conventional commodity farm and convert it to organic, and I think that is often a barrier for rural development,” said Kelly. While Inglewood is a work in progress, she believes its biggest success has been the number of people it has trained and inspired to go into small-scale ecological farming in Louisiana. “While they’re not getting wealthy, they have their own little piece of land and they’re able to run their own business,” she says. 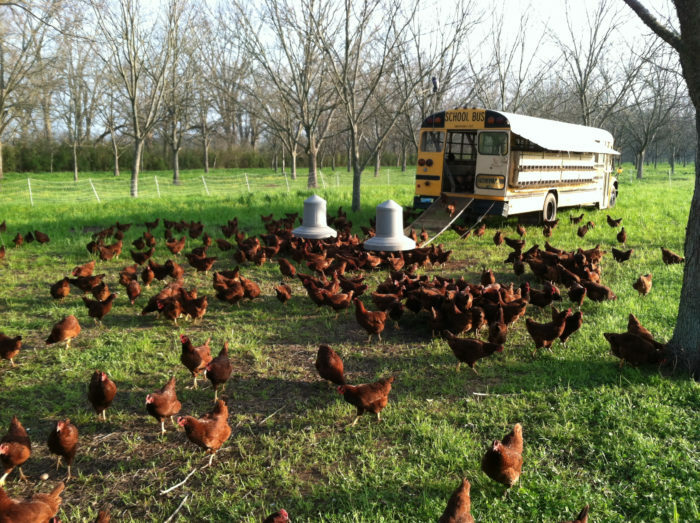 Pastured chickens at Inglewood Farm. Of course, organic’s fast-growing appeal has also led to a flood of imported crops and a rise in very large-scale production. And in both cases, farmers—and rural areas—have suffered. Many small and medium-scale organic farmers in this country are not benefitting from organic in the way they once hoped and planned to. It’s not clear whether other counties can continue to benefit in the way the hotspot counties have, given the sheer quantity of available product. Davis points to what she sees as the fork in the road for the organics industry, which occurred when messages about organic’s benefit to consumer health began to overshadow what she saw as the other core goals of the label: environmental health and improved livelihoods for farmers. She worries that planning for a future where organic growth is infinite could set up farmers for a let-down. In the organic dairy industry, the locus of Congressman Welch’s sense of optimism, for instance, a crisis has emerged among organic producers. Jim Goodman, a long-time Wisconsin organic dairy farmer and president of the board of the National Family Farm Coalition, says he’s seen the price of organic milk drop around 30 percent in the last year and a half. He’s also seen the price of the grain he grows drop by around the same percentage. And he’s not alone. Dairy farmers all over the country are facing similar realities. “People have told me that they knew conventional farmers who were partway into the organic transition process when the prices dropped and they reversed course,” says Goodman, who worries that organic will no longer provide a way for the little guys to stay solvent. 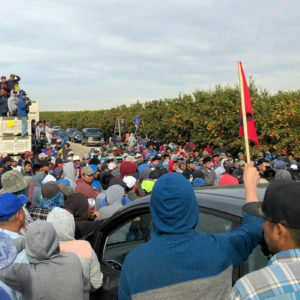 There has been a rash of coverage of large organic operations appearing to evade regulation of the organic rules, while much of what is coming in from outside the U.S., it turns out, is often either of low quality or downright fraudulent. As Peter Golbitz, CEO of Agromeris, an advisory firm focused on the specialty food and agricultural marketplace told Food Navigator recently, the quantities labeled as organic coming in from outside the U.S. often exceed the total amount of that product the country has capacity to produce. For these reasons, a number of groups are devising an array of new labels and certification schemes—from Rodale’s Regenerative Organic Certified to the Real Organic Project and the General Mills Regenerative Scorecard—to stake a variety of claims in the marketplace that compete with organic. Wary of the lack of consumer confidence in the organic label, OTA is also simultaneously backing another crucial piece of bipartisan legislation designed to fund stricter enforcement of organic products entering the U.S. in the coming farm bill. The organic industry also formed a task force to work with the USDA in 2017, after the agency’s Inspector General urged the Agricultural Marketing Service, which oversees the organic label, to strengthen its control over international trade agreements. Agriculture Secretary Sonny Perdue also highlighted “protecting the integrity of the USDA certified organic seal” as a priority in his January 2018 farm bill priority remarks—leading some advocates to believe that fraud protection could be taken increasingly seriously by the agency in the years to come. Don Doser and Kade McBroom (Pipeline Foods’ Farm Profit Program Regional Manager) survey Doser’s organic sunflower field near Malden, Missouri. Photo by Rachel Jackson, courtesy of Pipeline Foods. Outside the organic hotspots, some see private industry—and the role of big brands and wholesale suppliers—as just as important as policy measures, when it comes to helping small and mid-scale family farmers stay on the land. As of 2016, organic corn made up only 0.3 percent of the total domestic output, and organic soy and wheat were also less than 1 percent. While that number is steadily increasing, a recent report on the domestic grain and oilseed market from the research arm of food and agribusiness lender Rabobank says that the percent of organic corn acres may have more than doubled in the last year. The report also suggests that prices for some producers may stabilize in the coming years. Matthew Dillon, the director of agriculture and policy programs at Clif Bar, says that his company is one of several that are thinking strategically about how to make organic viable for a wider swath of Corn Belt farmers. “We’re helping farmers figure out how they can do work that has high ecosystem-service value while also having economic vitality for them,” said Dillon. The company is also investing in training and providing technical support for producers struggling to increase their yields and navigate the complex organic inputs industry. A big part of what’s missing is markets for crops other than corn and soy—oats, rye (i.e., “small grains”), alfalfa, and other crops that can be added into the corn-soy rotation to reduce the need for pesticides and fertilizers and improve the soil—and the infrastructure to support those markets. For many corn and soy growers, having a grain elevator within reasonable driving distance that will buy their crops plays a significant role in their decision to grow organic crops—or not. “I believe for every 15 miles it’s about 10 to 15 cents per bushel transit cost for the producer,” Dillon says. And, by and large, those elevators just don’t exist in most places. But, Dillon adds, that may be where tools like rural business grants can make a real difference. Pipeline Foods, a Minneapolis-based startup, has purchased a small handful of grain elevators and processing facilities in the U.S. and Canada with the goal of incentivizing conventional farmers to transition their operations to organic and successful organic producers to increase their acreage. After doing months of interviews with commodity row-crop producers about the barriers to going organic, they found that—in addition to physical infrastructure—finance opportunities were also dismally sparse. “Their local bankers look at them and literally laugh at them when they say they are thinking about going organic,” says Erin Heitkamp, managing director of strategy, sustainability, and assurance at Pipeline. In response, the company is building relationships with lenders who want to finance aggressive growth in the organic sector. In fact, Heitkamp had recently signed a contract for 25,000 acres when we spoke. Both Dillon and Heitkamp agree that these strategies will only work if fraudulent imports are kept out of the country, and Heitkamp is part of OTA’s taskforce working on the issue. This is the fourth installment in a year-long series about the underreported agriculture stories in our rural communities. Civil Eats is a 2018 grant recipient of the Clif Bar Family Foundation. 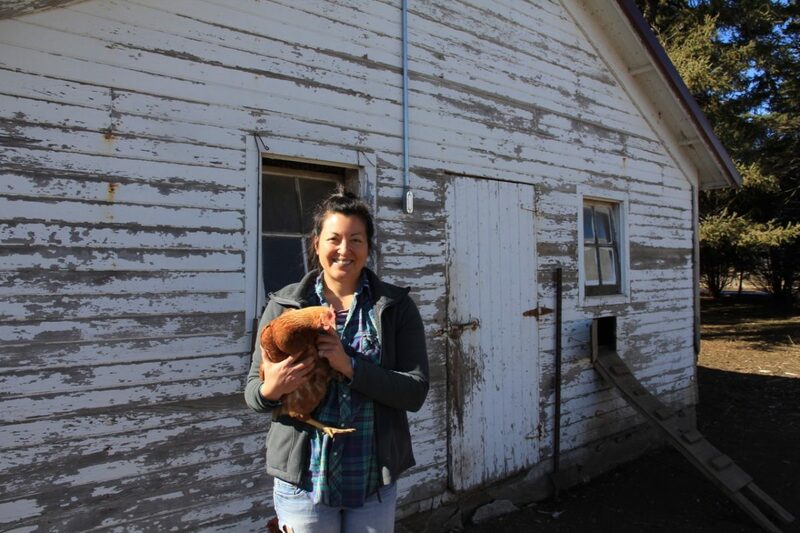 Top photo: Wendy Johnson on her farm (by Twilight Greenaway). Overall great article, which gives excellent context to the question of some of the obstacles to expansion of domestic organic production. One bone to pick: While it is true that there have been gaps in the enforcement of imported organic commodities, and there is clearly a violation of the "spirit" of organic if not the regulations by organic mega-dairies, the often expressed idea that this is the primary cause of lower prices for and oversupply of organic milk should not go unchallenged. The price of organic milk has long been tied to the conventional market, and if organic dairy farmers are hurting, it is nowhere near as bad as the pain felt by conventional dairies, which are similarly finding that survival depends on getting bigger and more industrial. The culprit here is really 60 or more years of US farm policy, which one has only to glance across the border at Canada (as has been done recently by Vermont Public Radio) to find dairy farmers making a comfortable living with small herds. @twispy Sharp medium-deep dive into (some of) the complexities and contradictions of #organic maturation. Synthesis entails more than "organic commodification". Another installment please. This is so enlightening and encouraging, and shows a way forward where economies on the two coasts and those in the middle of the country can be more in line with each other, with a common goal of both environmental and economic sustainability. First fraudulent grain now fraudulent milk and hydroponic fraudulent vegetables. I once compared a few hundred bodies walking out of Wild Oats health food stores to a few hundred walking out of regular big box stores for fatness. There was a dramatic difference in posture and energy levels. Energy is happiness. But the USDA's purpose is "get big or get out" i.e. destroying family farms. They do let big dairies violate the rules. Government certification was a mistake. Cornucopia Institute and many other private certifiers are springing up. This is vital to the reputation and price of Organics. It is also vital to PROSECUTE FRAUD.